Early 20th century American style. Without leaves measures 54inch circle. Includes 2 leaves to extend out 22 more inches to 75 inches in length. Very decorative with turned legs in walnut. 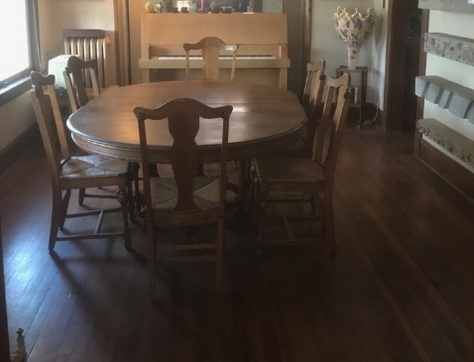 6 rush seat chairs. Includes five chairs, and a captain's chair.